Arduino team: second place, designing an automated turn-off for stoves that could benefit the elderly and the disabled. Prosthetic Arm Competition: Ninth- and 10th-grade team, first place; 11th- and 12th-grade team, first place. Rube Goldberg Machine team: 11th- and 12th-grade team, first place; ninth-grade team, second place. All first-place competitors will move on to the regional competition on April 13 at UC Riverside. 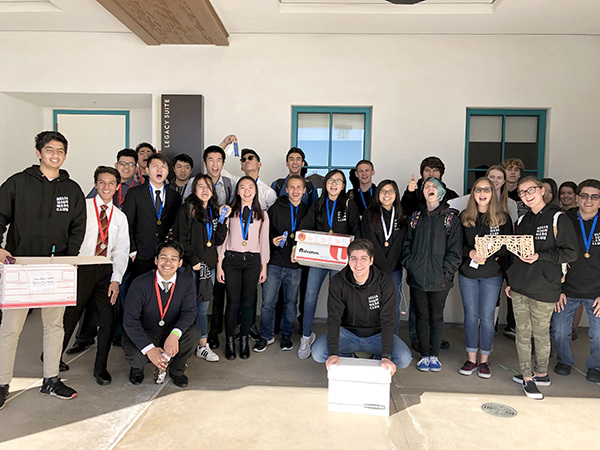 The Helix Speech and Debate team recently competed in the San Diego Imperial Valley Speech League State Qualifier tournament, to determine which students would move on to compete at the California High School Speech Association State Championships in May. 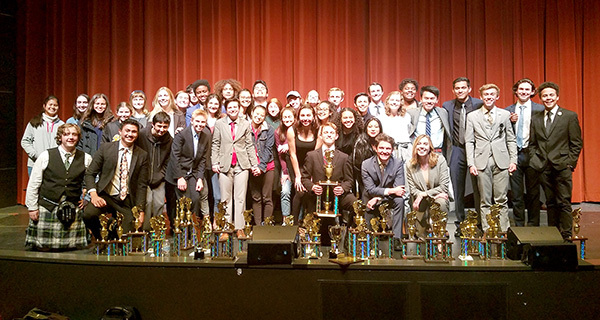 Twenty-one high schools competed, and Helix took first place in individual events (speech events), and placed second overall. The vocal music department continues to impress, as they took on a new challenge. In this year’s San Diego Sings competition, Director Michelle Tolvo-Chan raised the bar, placing the groups in a higher division than in the past. HLX (advanced show choir) took first place in their division, as did HD (girls show choir). In the concert choir division, Mixed Voices received an Excellent rating, and The Highland Singers earned a Superior rating. Choir member Jeremiah Zumaya is also taking on a new challenge as a contestant on this season of “American Idol.” He can’t say how far he advances, but we know he got his golden ticket and made it to the next round in Hollywood! We look forward to following his journey and rooting him on. 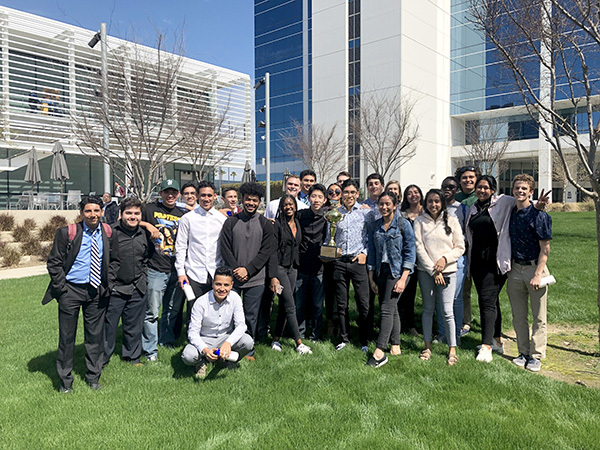 Members of the Helix Entrepreneur class competed in the Junior Achievement Stock Market Challenge and flexed their financial muscles, increasing their stock value by 33 percent and taking first place overall. The Stock Market Challenge is a Wall Street simulation where teams of students start with $500,000 to invest and trade in the market. Throughout the competition, they trade stocks using the same techniques and strategies as those trading on Wall Street. They constantly analyze data about different companies and market trends in order to make the best decisions on their trades. More than 30 teams from 10 area schools participated in the competition at the Qualcomm offices. Through a collaborative effort of the Helix administration, GoFundMe donors, the Facilities staff, students from the Helix chapter of the National Alliance on Mental Illness, the Muslim club and the Jesus club, there is now a dedicated space on campus for students to pray, reflect, and meditate during lunch time. The Mindful Moment Room is a part of the Wellness Center, which supports students’ social-emotional health on the Helix campus. As part of the design of the room, the word “peace” is written in the 20 different languages spoken by Helix students in their homes. Community members are invited to participate as judges for upcoming Senior Boards. All Helix seniors must complete a Senior Project, which entails creating a product, coordinating an event, planning a performance, or providing an actual service that has been designed by them. The final phase of the Senior Project is Senior Boards, which provide an opportunity for our students to shine and to feel a sense of accomplishment as they demonstrate their knowledge and skills to their community. Senior Boards will take place on Tuesday, May 28, and Wednesday, May 29, from noon–4 p.m. Community members are welcome to participate in either or both dates. Please contact me at josborn@helixcharter.net to confirm your participation. If you are interested in finding out more about Helix Charter High School, please attend one of our Excellence in Education tours, held twice monthly. Upcoming tours are April 4 at 5:30 p.m. and April 18 at 8:10 a.m. Reserve your spot using our website, helixcharter.net. — Jennifer Osborn writes on behalf of Helix Charter High School.